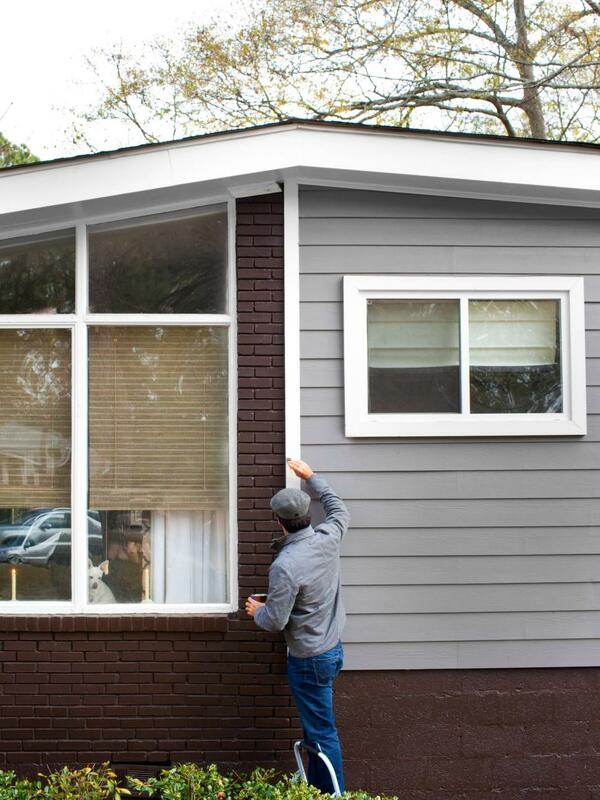 Have you noticed the outside of your home needs a little TLC? Over time, sun and rain wear on your exterior paint, and it starts to show. You will start to notice this first around areas that are on the East or South sides of your home, where the sun shows the most. I first started noticing this on my front porch pillars. Over time, a little wear and tear turns into peeling and chipping so it’s worth it to keep up on the painting so it doesn’t get worse. First, check the weather. You paint on a day that is pleasant. Not overly hot, not windy and obviously not raining. 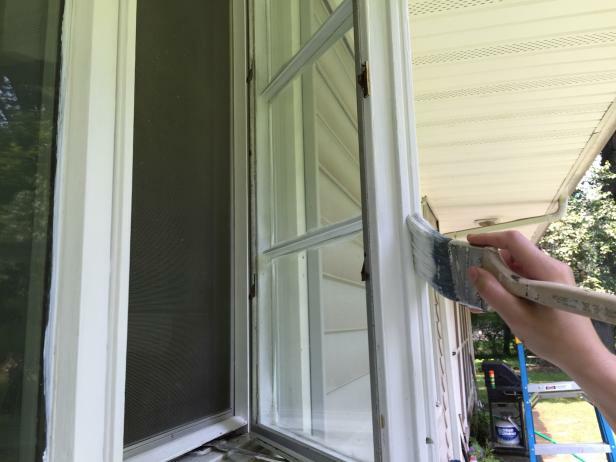 It should be between 50-90 degrees F, and try not to paint in direct sunlight – it can cause the paint to dry too quickly and cause instant peeling. Obviously, the easiest choice is to repaint the same color as your existing trim. However, if you’re ready for a chance, that’s great too. Choose a darker color than the existing one. Otherwise, you’re stuck with the sanding/prepping/priming process. To keep this process quick and simple, choose a color that is the same or darker than the existing color. 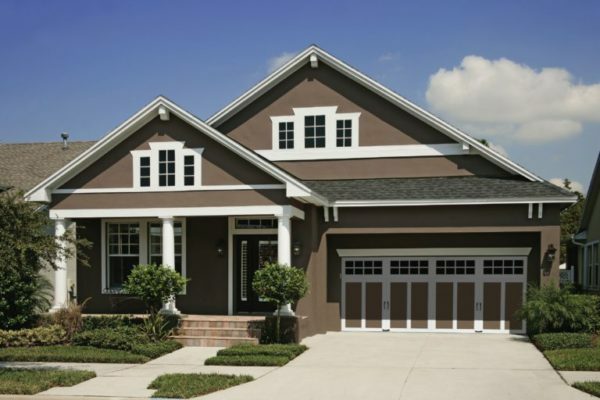 When it comes to repainting exterior trim, you want the job to look beautiful and last a long time. Choose the best paint you can afford. High quality paint is easier to use, looks better and lasts longer. Go with a satin or eggshell finish which is more fade resistant and easier to clean than flat paint. 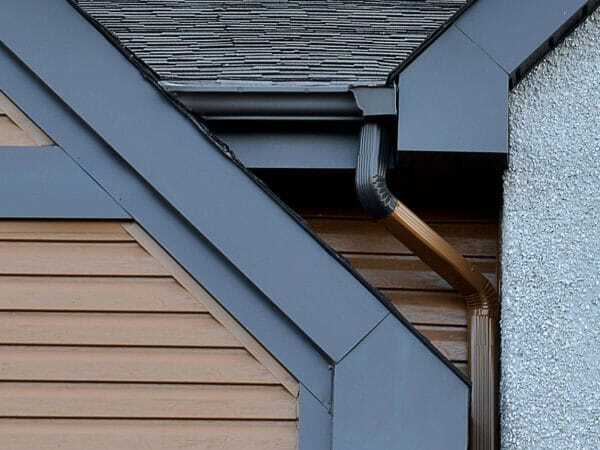 Using your paint in a small cup, use a 2-inch brush to start painting the edge where the roofline and the fascia meet. There’s a secret to painting with a brush that helps you get a perfect coat. First, choose a high quality brush (yes, they are the expensive ones, but they’ll clean up nice and last forever). Next, when you dip the brush, load up only the bottom half of the bristles, not the entire brush. Lay the paint on thick to start, then smooth it out without adding any extra paint. When you have successfully cut in using a brush, complete the job by using a roller. Start at the upper corner and use a roller to paint the fascia board. When using a roller, always hang a roller screen to make sure you don’t use an over-saturated nap. Roll the paint on the board until paint is no longer flowing. Cover about 3-4 square feet per roll. You may need to work the paint into cracks with a brush. Oh, and don’t forget the bottom. With your roller, paint the bottom edge of the fascia board. There you have it!It is simple to repaint exterior trim, but it does take some time and prep to get all the materials, paint, ladders etc. 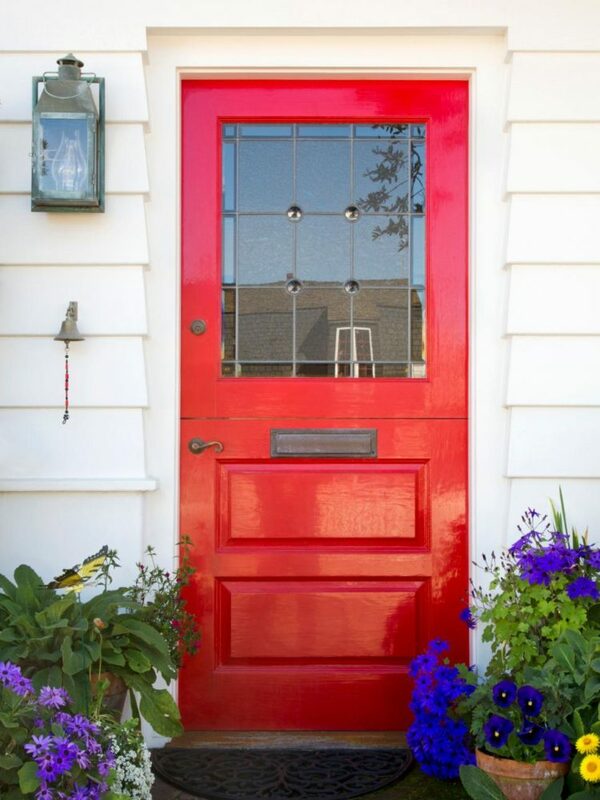 If you’re going through the effort to paint the trim, why not transform your front door or paint/add shutters for a total home makeover. You can completely change the look of your home just over the weekend. Good luck on your next DIY home project. If you try this send me a picture, I love to see your projects! Nice blog with great furniture designs for the interior.